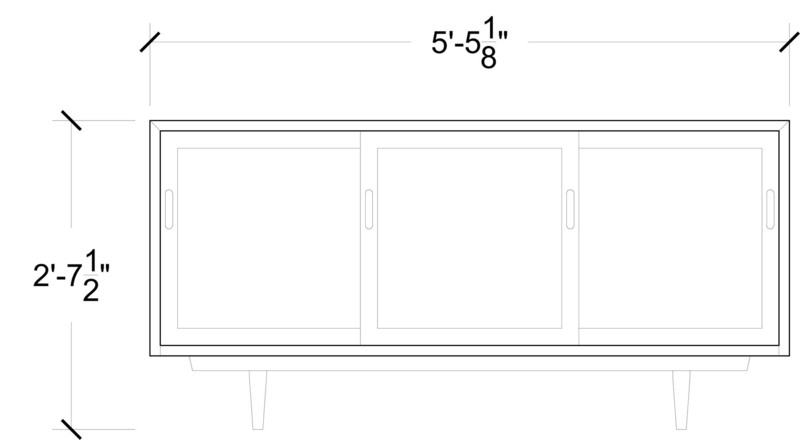 The credenza 2 fulfills a similar function to that of credenza 1, but on a more diminutive and refined scale. It can be used for a variety of display and storage functions as well as articulating smaller spaces within a larger room (the case is backed by a solid, figured panel intended to be displayed). The case is made from bookmatched boards continuous from side to top to side again. Other features include; hand-cut dovetails at case corners, sliding doors with bookmatched panels and turned legs. Custom modifications will be considered.